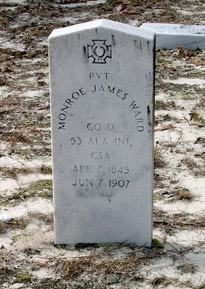 Monroe James Ward was born on April 7, 1845 in Dale County, Alabama and died on June 7, 1907 in Walton County, Florida. He lived to be 62 years old. Military service: Pvt Co. D 53 Ala Inf CSA. 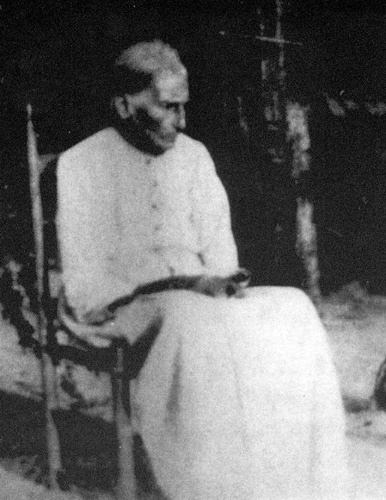 He married Mary Elizabeth 'Polly' Russell (3/15/1844 AL - 4/23/1912 FL). family#145: James B. 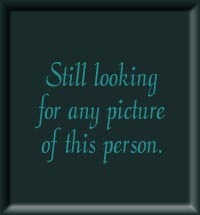 Ward (age 54, farmer, born in SC), Elizabeth (age 52, born in GA), William J. (20, farmer, born in AL), Benjamin F. (16, farmer, AL), Elizabeth (14, AL), Mary (12, AL), Monroe (5, AL), Ann Elliott (12, race is recorded as "b" [choices were white, black or Indian], born in AL). Family #1227: James B. Ward (age 65), Elizabeth (age 60), Monroe (male, age 15), Ann Ellis (black female, age 21), Wesly (mulatto male, age 6), Henry (black male, age 3), Amos (black male, 8 months old). James B. is a farmer and Monroe is a student. James estimates the value of his real estate to be 2,000 and his personal estate to be $4,973. James B. was born in SC, Elizabeth in GA and Monroe in AL. First recorded as house #3 and then renumbered to #385, family #5, then 390: Monroe Ward (age 25), Mary (age 24), Elizabeth (age 3), Joe E. (age 2), Elizabeth Ward (age 71) and Russell Jane Ward (age 68). Monroe says his occupation as farmer and estimates the value of his real estate to be $320 and his personal estate to be $591. All were born in AL except Russell Jane who was born in GA. Mary, Elizabeth and Russel Jane cannot read or write. Additional information about Geneva County, AL around 1870: Geneva County was created two years prior to this census on December 26, 1868 from Coffee, Dale, and Henry Counties. It is located near the Choctawhatchee River.. The Freedmen's Bureau, formed after the Civil War, managed this land until they were abolished in 1868 by the US Congress. They were committed to the supervision and management of all abandoned lands and the control of all subjects relating to refugees and freedmen. Members of this group harassed settlers by taking bribes and acquired lands they were to protect during the time leading up to their disbandment. Click here to see a map from this timeperiod. Household #56 change to 277, family #56 change to 277: Monroe Ward (age 55, born in GA), Polly (age 56, born in GA), Elizabeth (34, GA), Nancy A. (32, AL), Ely (23, AL), Marvin J. (22, AL), Emma (17, AL) & Joshua Palmore (22, AL). Joshua is a hireling. Monroe & Polly have been married 34 years and they have 7 children which are still living. Monroe is a farmer, his father & mother were born in GA. Polly's father & mother were born in GA. All can read & write. Elizabeth, Nancy & Emma are farm laborers, Ely & Marvin are Turpentine laborers. Antioch Cemetery: Monroe James Ward, born 4/7/1845 and died 6/7/1907. It says PVT Co. D53 Alabama Inf. CSA on his tombstone. Others in the same plot are Thomas Jefferson Ward and James Madison Ward. Thomas Henry Peel, of Geneva County, Slocomb, Alabama, says he is 86 years old. He knew Elizabeth English Ward, widow of James B. Ward, and her two sons, John Jackson and Monroe Ward and her daughter, Mary Ward, who married James W. Davis. Elizabeth English Ward lived with her daughter, Mary Ward Davis in her later years and died there. He knew Elizabeth English Ward for several years and she was known by all to be a full blooded Creek Indian. James W. Davis was my nearest neighbor, lived only two miles away. He is not related by blood or marriage to Elizabeth English Ward or any of her descendants. Nor is he related by blood or marriage to any of the Davis family. Click on any of the News, Events, or Discoveries buttons above to see historical things that happened during Monroe Ward's life. These are only some of the major events that affected the life and times of Monroe, his family, and friends. For example, Monroe is 10 years old when Third Seminole Indian War begins. It ends three years later when Chief Billy Bowlegs and his band are forced to move from Florida. 5 1850 State population=771,623. The 1850 Federal Census reveals the White population=426,514; African-American population=345,109; Slave population=342,844; Free black population=2,265; Urban population=35,179; Rural population=736,444; Cotton production in bales=564,429; Corn production in bushels=28,754,048; Number of manufacturing establishments=1,026. 5 1850 Florida's total population has grown to 87,445. This includes about 39,000 slaves and 1,000 free blacks. Indians were not counted. 10 1855 Third Seminole Indian War begins and war breaks out with most of the battles occurring in Central Florida. It ends three years later when Chief Billy Bowlegs and his band are forced to move from Florida. 16 1861 No Floridian's voted for Lincoln during the 1860 election. On Jan. 10, 1861, Florida seceded from the U.S. and joined the Confederate States of America a few weeks later. 20 1865 May 10th -- Union troops occupy Tallahassee. While Tallahassee was the only Confederate state capital east of the Mississippi River that had not been captured, Union troops occupy the capitol following the surrender of the major Confederate armies in the east. 20 1865 Battle at Natural Bridge (Wakulla County) is a Confederate victory. 25 1870 During the 1870s, the remaining Seminole Indians begin establishing trading posts and other economy with local settlers. 37 1882 The Florida Central and Western Railroad Company was created. It combines the Florida Central, Jacksonville, Pensacola, and Mobile railroads. 38 1883 Three railroad companies are merged to form the Florida Transit and Penisular Railroad Company. Thee are: Florida Transit Railroad Co., Peninsular Railroad Co, and the Tropical Florida Railroad Co.
39 1884 Most railroads in Florida are passed into the hands of a single company owned and operated by a single management, under the name of The Florida Railway and Navigation Company. It has more that 500 miles of main track in operation and about 300 miles of track under construction. The longest route was the "Western Division" which ran from Tallahassee to Jacksonville - 209 miles. 61 1906 An attempt to drain the Everglades and convert it to farmland begins. 8 1853 The process of creating steel is invented by Besermer in Britain and Kelly in the U.S.
14 1859 Charles Darwin publishes "Origin of Species" and begins the evolution theory. 20 1865 Mendel publishes his papers on genetics and introduces the concept to the public. 32 1877 Edison invents the phonograph permitting music and voices to be recorded and replayed. 34 1879 Edison invents the electric light bulb. 50 1895 Wireless telegraph and the "antenna" are invented but it covers a very short distance. 55 1900 The cause of yellow fever is discovered. It is proven that the fever is spread by mosquitoes. This rallies an effort to provide better mosquito control. 55 1900 Freud publishes his book "The Interpretation of Dreams"
56 1901 First transatlantic wireless telegraph is sent. 57 1902 The first Tyrannosaurus Rex fossil is discovered. 16 1861 NEWS HEADLINES: American Civil war begins at Ft. Sumter, located in Charleston Harbor, VA.
17 1862 NEWS HEADLINES: May 20, 1862 the US government passes the Homestead Act to provide cheap land for settlement of lower Southeast and West. 37 1882 NEWS HEADLINES: Edison creates the first large power station in New York City, making it the first place in America to have electricity. 40 1885 NEWS HEADLINES: Eastman invents the box camera. For the first time photography becomes affordable for the average citizen. 10 1855 Third Seminole Indian War begins. It ends three years later when Chief Billy Bowlegs and his band are forced to move from Florida. 15 1860 Presidential election puts Abraham Lincoln in office. The campaign has heated the issues regarding slavery in the south. 17 1862 May 20, 1862 the US government passes the Homestead Act to provide cheap land for settlement of lower Southeast and West. 18 1863 Abraham Lincoln issues the "Emancipation Proclamation" freeing slaves. 20 1865 American Civil war ends with General Lee's surrender at Appomattox, VA. Reconstruction begins in the "old South"
23 1868 An eight-hour work day is established for federal employees. 30 1875 Tennessee enacts Jim Crow law. Born somewhere in Alabama about 1870 and died somewhere in Florida about 1935. He was about 65 years old.